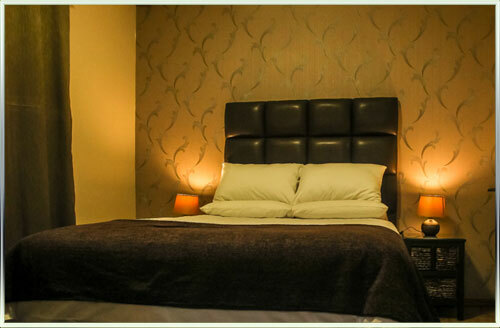 We are a very stylish, yet affordable B&B where you will find heart-warming hospitality and friendliness. 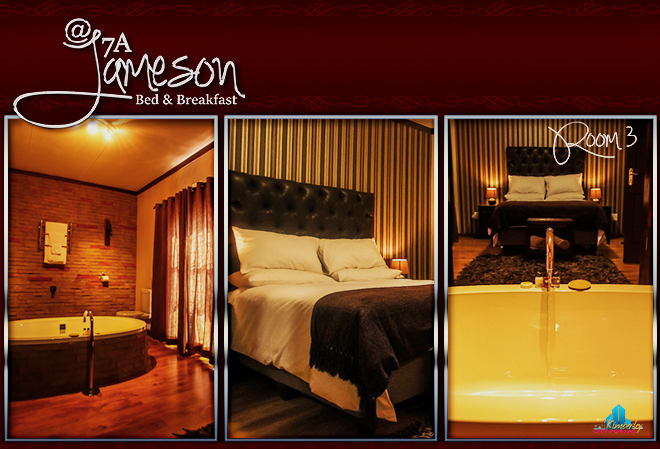 These key attributes make @7A Jameson B&B the facility of choice that will give you the experience that will be better than home. 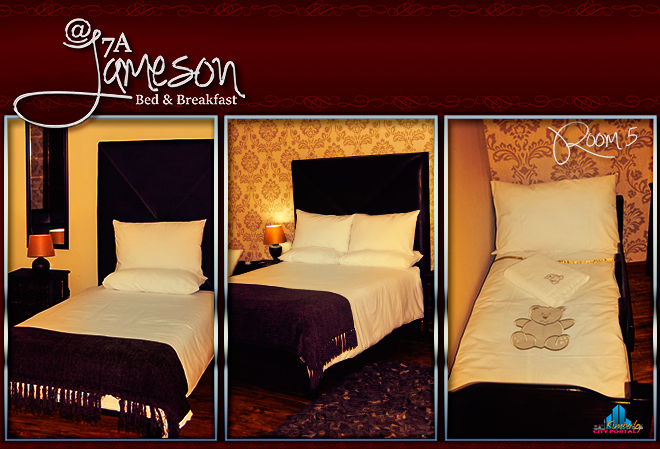 Stylish, yet affordable accommodation with heart-warming hospitality & delicious breakfasts. 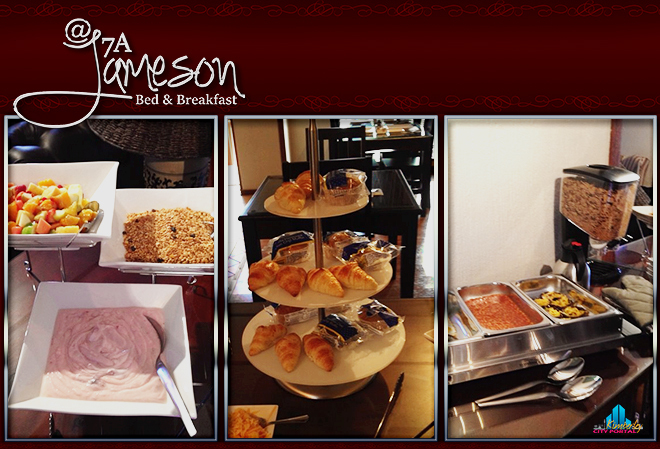 Breakfast is served daily and included in the rates. 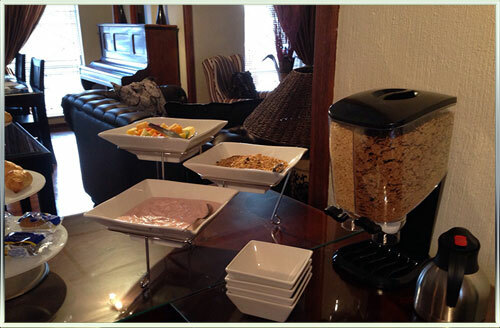 It ranges from fresh fruit, yoghurt and cereal to the more traditional bacon, eggs and toast. Complete the online booking inquiry form for room availability & available dates. Please note that it is only an inquiry, thus completing the form does not confirm your booking. 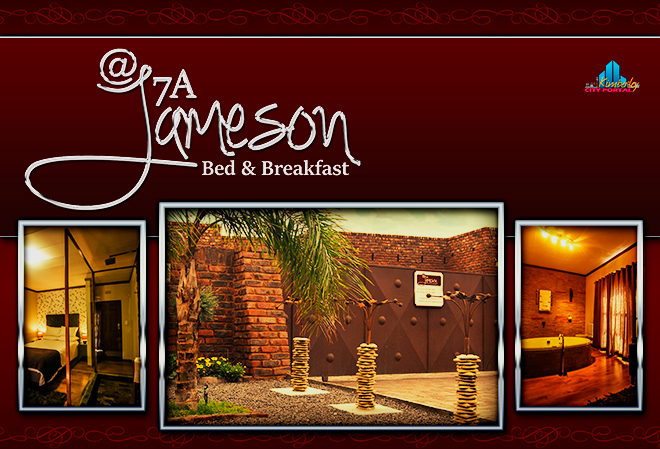 Riaan Roets is the owner of @7A JAMESON B&B. 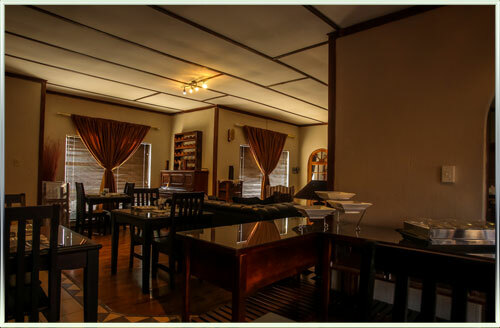 He had an active role in the conception and development stages of the guesthouse. This has allowed him to put his personal stamp of each part of the B&B . 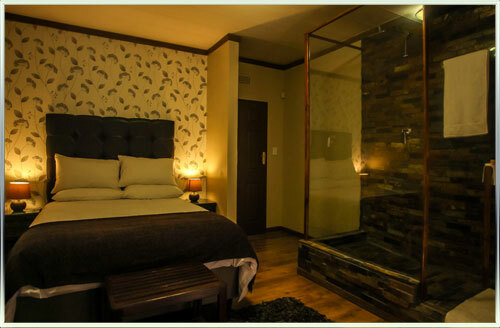 This can be seen in the individuality of each of the rooms. 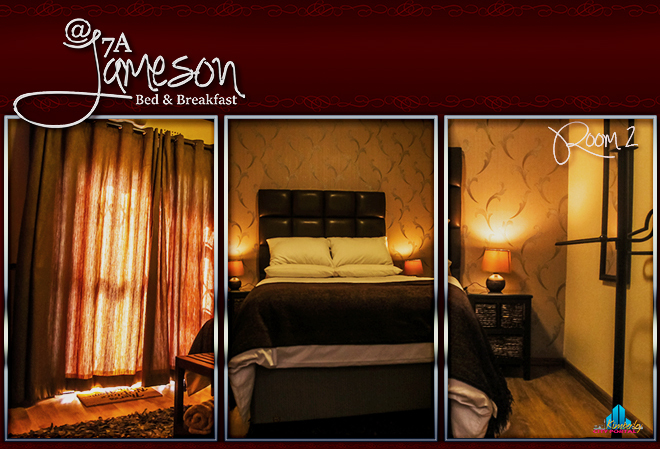 @ 7A Jameson Bed and Breakfast is equipped with a silent generator set to address the current load shedding in the country and specifically the Northern Cape – Kimberley. Excellent service!! Thank you for a good night’s rest. 11 uit 10 vir diens en netheid sal van nou af geen ander BB gebruik as hier nie vir al my besoek in Kimberley. Baie dankie AAN AL DIE STAFF!! Julle kan met plesier my gebruik vir verwysing. Wow, wow, wow. 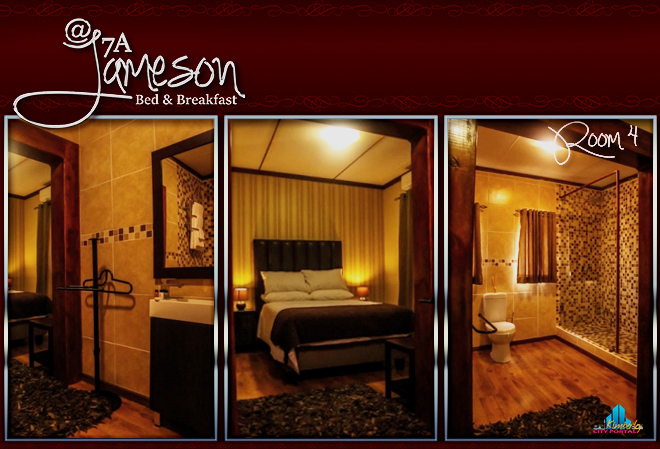 Beautiful accommodation, luxury stay. The breakfast…my word delicious. Staff is super friendly…. Charmaine made us feel at home. 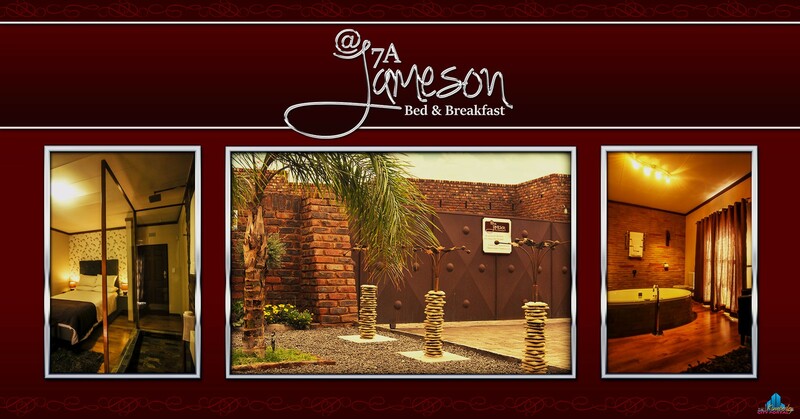 It was my first time in Kimberley and definitely not my last…next time will book again @7A Jameson without a doubt. Thank you for amazing service & great hospitality. Thank you for your hospitality. Ther service was great, I will certainly recommend you to anybody visiting Kimberley. The rooms were clean and the breakfast was good. It would be great if you can have dinner service, it would make things easier for guest. Thumbs up, keep up the good work!!! Baie dankie vir wonderlike verblyf.Pragtige skoon en netjies kamer met n amazing bad. UItstaande gehalte. Ontbyt was heerlik. Mense almal baie vriendelike, Baie dankie julle. 7A JAMESON IS N MOET. LOVED IT!!! Charmaine & span, baie dankie vir n wonderlike tyd!! Die verblyf die kos alles was uit die boonste rakke! Baie dankie aan Charmaine & haar span vir die lekker tyd. Ons het lekker geslaap en geeet. 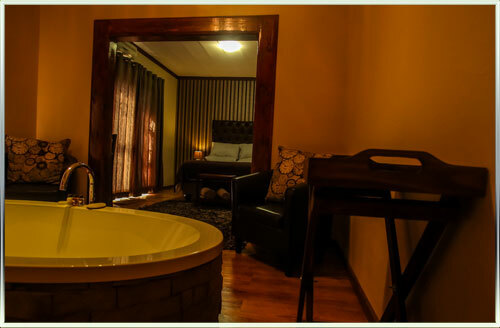 A wonderful stay, Great food, proffessional welcoming service. Charmaine & the team thank you so much for making our stay a memorable one. Vriendlik, gasvryheid, goeie diens. Soos n tweede tuiste. Baie dankie vir alles!! Hou blink kant bo. Baie dankie vir die hartlike welkom. Baie oulike plekkie om te bly. Sal dit verseker aanbeveel. Baie goeie diens!! Die ontbyt was uitstekend. 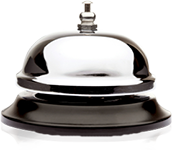 Iam writing to express my appreciation for the quality service you offered us the days of our stay at your outstanding place. Despite many offers we received from other competitions, we decided to come to you of the unbearable deal you offered us. It was the best decision we enjoyed the peace and quiet. This definitely added to the EXCELLENT STAFF & SERVICE OF YOUR STAFF. The rooms are stunning. Will come again & recommend others you are the BEST. Baie goeie diens en mooi plek. Kamers is skoon en ruim. The service was very pleasant. Kitchen staff very polite and helpful. The lady managing very very helpful. She definitely went the extra mile. Will visit again. Thank you very much for the world class hospitality services. Your BNB is very neat and beautiful. 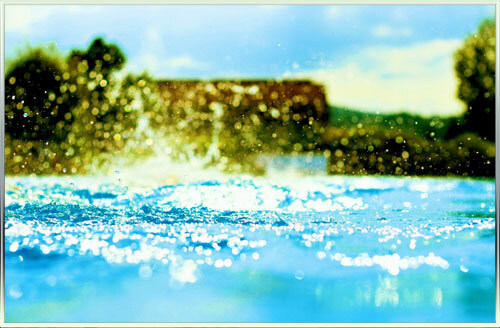 Your staff services is of top standard. The service was absolutely outstanding. I enjoyed my stay here. Thank you very much. Thanks for the hospitality I know that I can count on you if in need a home away from home. God be with you all. I will definitely come back. Thanks for everything for the beginning till the end. This place is clean and service is very good. Breakfast is top of the range,your guys 10/10. I am planning to come back with my family. Thank you so much for a great stay. my room was cosy and had everything I needed. The staff were helpful and friendly at every step. I felt very comfortable at home for the whole stay. Thank you so much for the awesome stay! The service is great and the staff is so friendly and accommodative!! 2nd time on purpose because I loved it so much. Will def call again. Baie dankie vir die gasvryheid wat ek ontvang het tydens my verblyf. Baie vriendelike staff en die gstehuis is baie netjies. Pragtige plek hierdie. Ontbyt is uit die boonste gehaltes. Dankie Baie. Kom beslis weer!!!! Goeie Nagrus. Uitstekende diens vriendelikheid. Het welkom gevoel. 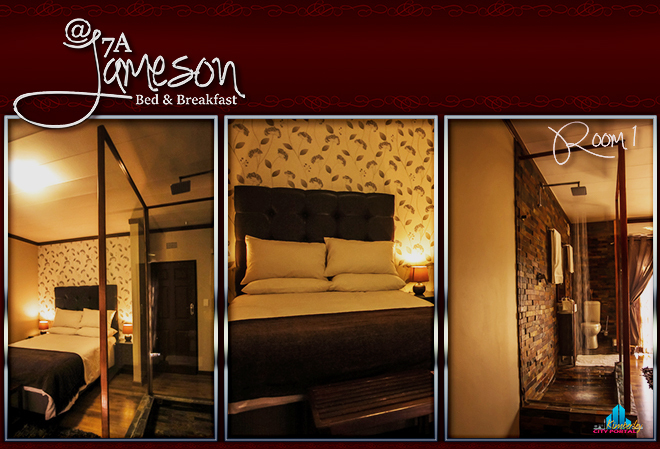 I want to thank the owner, Charmaine and the friendly staff of @7A Jameson for a wonderful stay. The CUT more specific the Department of Built Environment had an amazing experience. We will support you in the future. your high standards are good quality. I had a wonderful stay in your B&B thank you for the good hospitality. Beautiful place and staff. Iam very satisfied thank you!!! Rooms are very neat and 6 star breakfast wow!!! 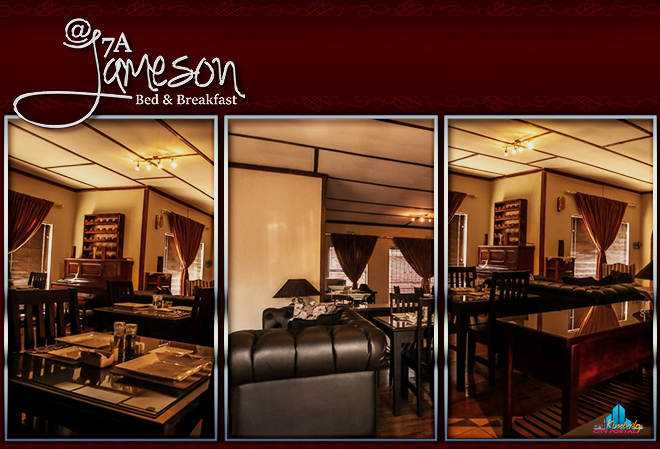 Iam very satisfied by all the services by Jameson bed and breakfast. Very beautiful place with friendly staff. Would love a door leading to the bathroom and a shower, otherwise nice place. Baie dankie vir n lekker oornag! personeel is fantasties ,vriendelik. Ontbyt was eerlik …sien jul gou weer. Dankie dat jul 19:30 ons verwelokm…jy het jou tyd opgeoffer om ons te akkomodeer. Thank you so much had a lovely stay. Staff outstanding, very friendly food was amazing. 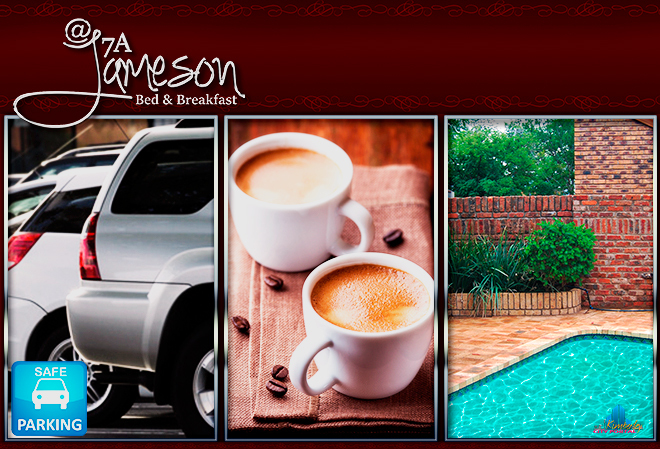 Would really recommend this place to any body who wants to visit Kimberley best place so far is @7A Jameson bed & breakfast would definintly come back…OWNER and STAFF very friendly and its the best place to be. Thank you so much for the stay… U guys are the best…. Great service, Good food all is highly. Plek is ongelooflik netjies sal enige 1 aanbeveel na die plek. Geseende kersdag voorspoedige nuwe jaar vir jul almal. Lovely place it is. The neatness is amazing. Had a great stay and will definitely consider coming back. Dankie aan die vriendelike personeel vir n lekker kuier. Dankie vir n lekker kamer, dit was baie mooi en knap gedoen!! Groete en geseende kersfees. Fantastic venue at unbeatable prices. Keep it up your place is like heaven. Thank you for welcoming us at your place. We had a 5 star treatment here. Keep up the good work. Hoë kwaliteit. Sal definitief plek aanbeveel. Baie dankie! Dit was heerlik om hier te bly – ek sal julle vir vriende en kollegas aanbeveel! Warm welcoming and orientation around the environment / premises. Service exceeded the expectation, food delicious. State values its money – this expenditure was worth it. Please register on SAPS database to get tenders if not yet registered. This was the best stay ever. Keep it up!! Will definitely recommend it to people. 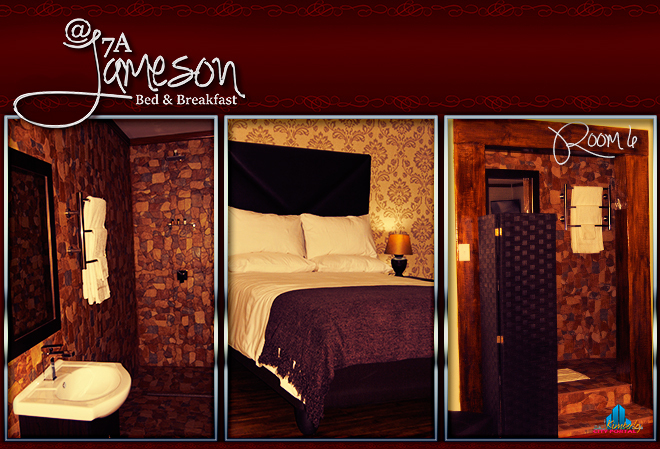 View all events in "7A Jameson Bed & Breakfast and Meraki Beauty Salon"